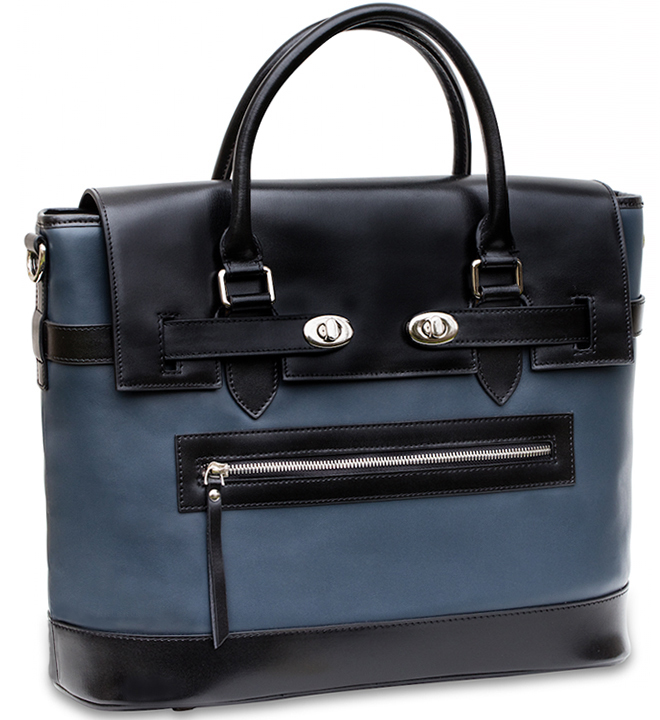 Exterior body: Smoky, navy blue calfskin. This updated navy blue leather body is a dark, smoky navy. Interior: Crafted of silver quilted high performance satin. 3 smartphone/mobile pockets. iPad pocket. Silver hardware. Exterior zippered pockets on front and back.